Utility service providers are upgrading to advanced network infrastructures to meet the demands of the 21st century marketplace. As a utility service provider, you can dramatically lower costs and optimize your business performance with an upgraded wireless network. Fiber optics and wireless technologies, if strategically integrated into an existing network, deliver the improved speeds and bandwidth needed to meet the rising demands of the industry for improved connectivity. 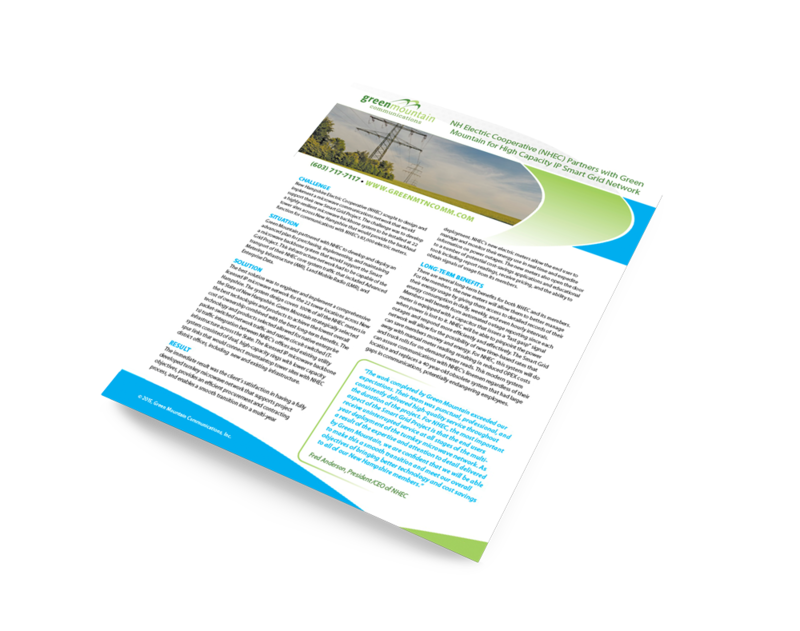 Green Mountain’s breadth of experience makes it uniquely positioned to help utility companies assess their broadband needs and take advantage of the market forces driving this technology.